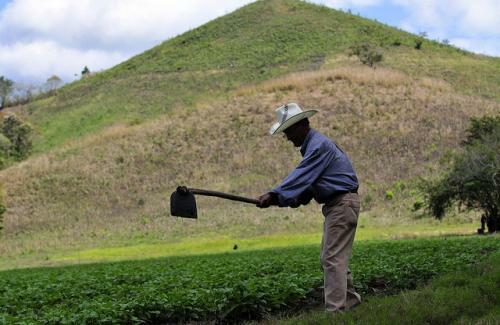 Farmers in Central America have come up with a novel plan to tackle climate-related disasters. They have developed agricultural insurance for those who cannot access traditional financial systems. Mutual contingency funds that involve protection and risk transfer are created and managed by associations to support farmers during emergencies. The funds alleviate the sufferings of small-holder farmers during droughts, hurricanes, floods and earthquakes. “They (funds) are aimed at households that do not have access to insurance or to formal finance systems that allow them to protect their livelihoods,” Anna Ricoy, the risk management officer of the Food and Agriculture Organization (FAO), said. Mutual contingency funds can ensure sustainable livelihoods to family farmers and strengthen them. As they are solidarity funds, they usually have lower interest rates. Apart from acting as safety nets for disasters, the funds encourage good agricultural practices and income-generating activities among vulnerable communities. The funds are also having a positive effect in terms of gender. In Honduras and Guatemala, women are playing a fundamental role in sustaining these funds. A FAO study says that the participation of women is more pronounced in activities that involve time as well as physical labour in the agriculture sector. According to the international food agency, the strategic integration of gender perspective in national agrifood systems can lead to a substantial improvement in competitiveness of markets. In Central American countries, members of associations raised money and seed capital to put up 40 per cent of the fund. Another 40 per cent was a direct contribution of FAO. The remaining 20 per cent is constantly capitalised through activities such as the production of woven fabrics and community shops for the sale of food. The condition for members of an association to access mutual contingency funds is the adoption of a number of good agricultural practices. These include, management of crop residues, agroforestry, creating community banks for native seeds, growing vegetable gardens and resorting to water purification methods. As part of early warning systems, mutual contingency funds are activated when the community declares an emergency situation. According to a new study, climate change threatens the very basis of food security in this region in view of its economic dependence on agriculture, low adaptive capacity of the people and the geographical location of some of the countries. “Climate change-related disasters will produce the greatest economic impacts in the region,” Jorge Meza, senior forestry officer at FAO’s Regional Office for Latin America and the Caribbean, told Down To Earth earlier. According to the 2014 report of the Intergovernmental Panel on Climate Change, the north-east part of Brazil and some areas of the Andean region (glacier melt is a major threat in this area), temperatures would increase and reduction in precipitation could reduce agricultural productivity in the short term by 2030. One of the areas affected by extreme hazards is the Dry Corridor. Climate risks in the region are mainly represented by recurrent droughts, excessive rains and severe flooding, thus affecting agricultural production. The region is a semi-arid stretch from the Pacific watershed to the foothills of Guatemala, El Salvador, Honduras, Nicaragua and parts of Costa Rica. This region, which covers nearly one-third of the Central American territory, is characterised by recurrent droughts. According to the FAO, it is estimated that in the Dry Corridor, more than 1 million families rely on subsistence farming. The levels of poverty and malnutrition are alarming and mainly affect rural populations and indigenous communities. The El Niño which started in 2015 was one of the worst on record and its impact continues to be felt in the Dry Corridor. Last year too, the situation was bad in the region. Senegal’s infamous agri-business project, Senhuile SA, on verge of shutdown?